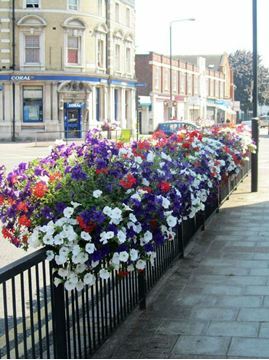 Barrier baskets bring flowers right into the heart of a road. Basket liners make it quick to change with the seasons. 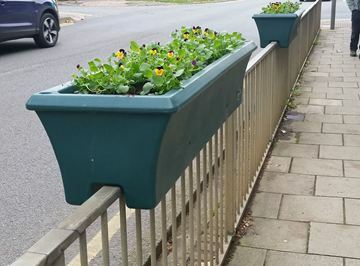 The self-watering design saves hours of labour each year.